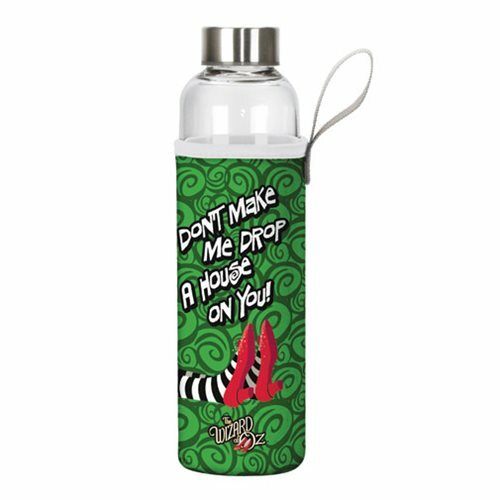 The next time you feel a bit exasperated with someone, whip out this 9 3/4-inch tall Wizard of Oz Drop a House on You 20 oz. Glass Water Bottle with Neoprene Sleeve and let them read what it says. At least you will have warned them! Hand wash only. Not dishwasher safe. Do not microwave.